New State Judicial Districting will result in more Judges. Divorce Courts will have new chancery judges be added in the 11th Chancery District composed of Holmes, Leake, Madison and Yazoo counties; the 20th Chancery District composed of Rankin County, and in the 4th Chancery District composed of Amite, Franklin, Pike and Walthall counties. This will be a much welcomed relief for Madison and Rankin Counties. A new Circuit Court Judge positions has also been provided for Madison and Rankin. Over $900,000 in the State budget for 2016 salary and benefits of the new judges and staff was included. The new judges only will run this year in the November general election. June 1 will be the qualifying deadline for the new judges. Judges run in nonpartisan elections. The new judges will take office in January. 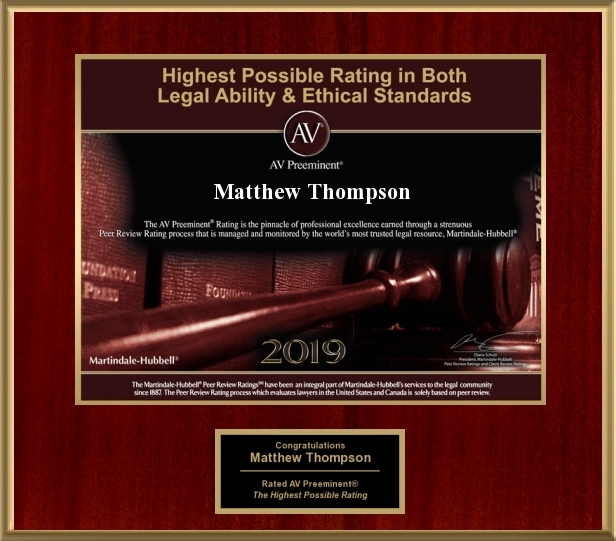 Matthew Thompson is a Family Law Attorney and represents clients in Chancery Courts throughout Mississippi and believes these new Judges will help to ease the crowded dockets in these counties. Previous PostCutting You with a Gamma Knife; Dan Jones, Ole Miss, IHL and why you should care.Next PostFamily Law and Common Sense Tip of the Day: Don’t Do on Video That Which You do NOT Want to See Again in Court.